Helen (Hamblin) Ellsworth of Arvada, Colorado passed away peacefully on January 5, 2018 at the age of 95. Helen was born to Don Carlos Hamblin and Ida Lee on December 5, 1922 in Nutrioso, Arizona. Helen graduated from Farmington High School in Farmington, New Mexico in 1941. She met her husband, George Dean Ellsworth, in Mesa, Arizona, where she was working as a car hop at Johnson’s Drive-in. They were married on June 5, 1942 in Mesa. Helen worked at Motorola Semi-Conductors in Quality Control from 1967 to 1975, before she devoted the rest of her life to being a farmer’s wife and a mother to their seven children. She also served many years in auxiliaries of the LDS church. Throughout her life, Helen enjoyed reading, crocheting, sewing, quilting, cooking and baking and preserving their homegrown produce. Helen is survived by her children, Arthur Dean (Renda) Ellsworth, Richard Lee (Jeanne) Ellsworth, Marianne (Deward) Loose, Georgena (Steven) Faria; grandchildren, Jalyn (Stanley) Bertagnolli, Tamara Black, Norman (Svetlana) Black, Eileen (Ernie) Rothlisberger, Andrew (Tami) Black, Annie (Cory) Hadley, Tyler (Wendy) Ellsworth, Tom (Tiffany) Ellsworth, Brad (Amy) Ellsworth, Wes Ellsworth, Amy (Doug) Merrell, Macy (Danny) Riggs, Tara (Tyson) Rackley, Brian (JoLynn) Ellsworth, Brent (Kami) Ellsworth, Lyndsey (Bryan) Mortensen, Sarah Loose, Brittany Loose, Diana (Nick) Mowes, Rachel Loose, Richard Loose, Michael (Sarah) Faria, Christopher (Christina) Faria, Allison (Christian) DeShazer, Emily Faria; 87 great grandchildren; 39 great great grandchildren; sister, Shirley Vajdos; and son in law, Jay Black. 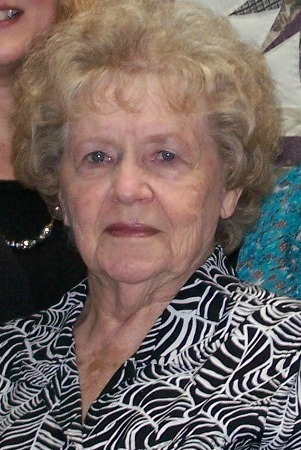 She is preceded in death by her parents, Don Carlos Hamblin and Ida (Lee) Hamblin; husband, George Dean Ellsworth; children, Sharon Lynn Black, George Dean Ellsworth, Jr., and Mary Ellsworth; grandchildren, Edwin Black, Matthew Ellsworth; daughters in law, Susan Ellsworth and Sherri Ellsworth; and her 11 siblings. A Visitation will be held on Tuesday, January 9, 2018 beginning at 6:00 until 8:00 PM at Horan & McConaty Family Chapel, 7577 West 80th Avenue, Arvada, Colorado. A Visitation will be held on Friday, January 12, 2018 beginning at 6:00 until 8:00 PM at The Church of Jesus Christ of Latter-day Saints, 2700 East Galveston Street, Gilbert, Arizona. A Funeral Service will be held on Saturday, January 13, 2018 at 10:00 AM also at The Church of Jesus Christ of Latter-day Saints, 2700 East Galveston Street, Gilbert, Arizona. Interment and Graveside Ceremonies will follow at Mesa Cemetery, Mesa, Arizona.